Sometimes, when we are having an especially rough day, I find myself dwelling on the bad or the not so great parts of autism. The days where no matter how much planning or preparation every transition seems to be a battle. Days where anxiety is so high that I end up wearing vomit as an accessory. On days where I would much rather stay in bed with the covers pulled over my head because I know it’s going to be a rough one, I have to remind myself of how far the Monkey has come in such a short period of time. I make myself appreciate the cuddles I get, although often a bit too rough, because I know some parents don’t get hugs and cuddles from their children on this vast spectrum. Too often do we speak only of the symptoms of autism and so little about the amazing people behind the diagnosis. So “A” may stand for autism but it also stands for AMAZING. The way the Monkey’s mind works has amazed me in so many ways. His memory and his attention to detail is exceptional and surprises me every single day. I can usually tell him something once and if it is something that interests him he will usually remember it. He is able to bring up memories of things that happened as far back as age 2 when he was non verbal and tell us about it. For example, in our old house in Ontario my husband stubbed his foot in the hallway and the other day when this happened to me almost 4 years later in our new house he brought up that memory. “You hurt your foot like daddy did in our other house?” he asked with this extremely serious look on his face. All I could do was smile because I couldn’t believe he would remember something so insignificant that happened so long ago. Recently, after reading the book The Spark: A Mother’s Story of Nurturing Genius, I realized that I was trying to turn the Monkey into a “regular” five year old boy. I was always buying fiction books about dragons and knights, these cute fiction stories that are more imagination based without thinking that a child who has a hard time with imaginative play to begin with may not truly be interested in a made up story about something that has no real purpose other than being fun. Well, fun for me anyways. I never stopped to wonder what the Monkey was truly interested in. I knew that he loved his toy cars and he can become obsessive with video games but beyond that I never really stopped to think about what he may want to learn. It never even dawned on me that a 5 year old may want to learn something that is truly advanced for his age. The book emphasizes learning through nourishing the interests that the children already have and that by doing this the other things will follow. Essentially the author says that by allowing children to do what they love it will be much easier to teach them reading, writing and other vital skills they need to learn to prosper in our crazy world. She advocates taking a step back from therapy based learning and letting children be children in their own ways. This book was like a revelation for me, however because the Monkey still has a limited vocabulary and has trouble with expressive language asking him what he is interested in is a little difficult. I decided to take him to the book store and look at books, not about cute dragons and knights, but about real life stuff. In the section that I took him to the books are written primarily for an older audience of 10 and up but they had books on astronomy, history, the human body, geography, climate, animals, the list goes on and on. He had his pick of things to choose from and for the first time ever he took books off the shelves and opened them and flipped through them rather than going off and finding the cars in the toy section that the store has. The Monkey started asking question, after question and asking what this and that said and I saw the light in his eyes. He was more engaged with these books then I had ever seen him before. As Rebecca mentioned in her previous post Spectrum Milestones, I learnt that the Monkey had an interest in facts of all kinds. 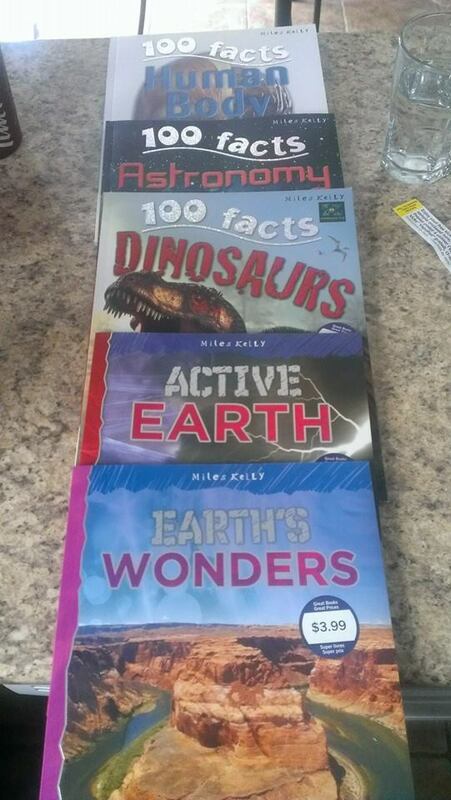 He chose books on dinosaurs, the human body, astronomy, and the earth and we ended up purchasing six books on a variety of topics. So in the past week we have learnt about the skeletal system and all the different parts that make up bones and how muscles work. We learnt about dinosaurs and fossils, about black holes and meteors. We have learnt about the Pacific Rim, tectonic plates and the layers of the earth from the inner core out. He’s engaging and asking questions and he is interested in learning it all. I have this book to thank for opening my eyes to seeing the child before me now and not the child I had hoped he would be. Rebecca shared a link on our facebook page regarding how to successfully teach children with ASD to read. We have an entire post planned around this concept later on but let me just outline it slightly so you get a clearer picture of the amazing things the Monkey is doing. 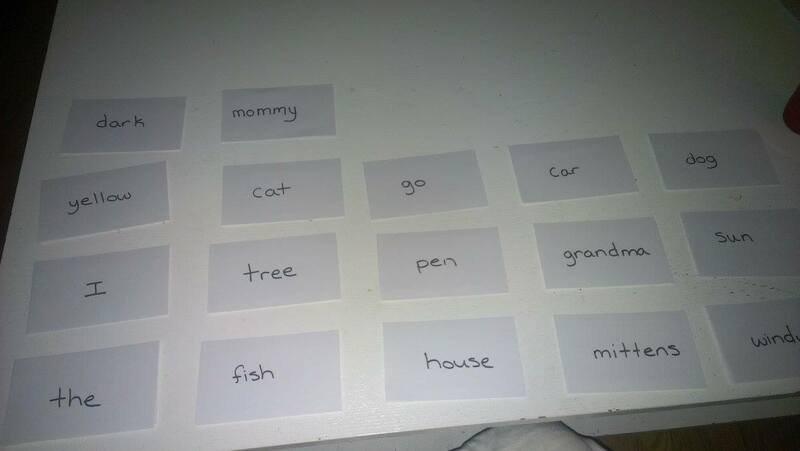 The way that it works is through using sight words on plain white flash cards with no distinctive characteristics. It emphasizes to first match the words to a board and moving on from there. With the Monkey we realized the matching part was not necessary. I had seen him read words on his own in the past when not prompted and knew that he was able to read some things already. I literally went over the cards with him once or twice and then he had them. He now can read over 20 words in less than one week. He can read 20 words but he still his difficulty with the alphabet which we have worked on for over a year and here is why. A word has a meaning, it has a purpose. Those groups of letters make up that word and to him that makes sense. When he sees this word he can form a picture in his head of the object or person and know what that word is. With a letter you are asking him to remember something completely abstract. It is simply a letter and the only image he can conjure to remember the letter is an image of that letter. Showing him the word apple will not make him remember the letter A what it does allow him to remember however is that this grouping of letters is the word apple and when I see these letters I can picture an apple and therefore know the word. We are still working on the alphabet as he will need this for school but I think that by learning sight words he will start to remember the letters on their own. Rebecca has also found this method to work with MJ so we have planned an in-depth post soon with videos of the kids in action to show you two different methods of doing this with great success. The Monkey may always be a little quirky and socially awkward but I think that he is an extremely smart little man who is going to grow up to do amazing things. I love him for who he is and want to nurture his interests. He has taught me to see the world in a completely different way and to be more patient. He has given me the gift of being the mother to someone extremely special. Great blog for parents with children on the spectrum! Check it out! Thank you so much for the words of support. Rebecca and I are on a mission to help educate others and learn from each other on our journeys. So happy to have such amazing feed back all ready. Love this post and your blog! I recently started my own blog, documenting my adventures as an Intern in a Autism Preschool Classroom. I’m excited to read your future posts and hope it helps me to see further into my own kids and their parents thoughts and feelings. Check out my blog too if you get the chance! You are doing a great job! Indeed I don’t think people realize there is no one way that works for all children with Autism. One time I told my counselor that every parent should at some time have the pleasure of raising a special needs child because as a parent you are forced to really look within your child to help them bring out their strongest qualities. Thanks for reading and for your comment. We very much agree with that statement. While there are challenges, at the end of the day, much of what we do for them makes us better parents in general. Awesome post! Thanks for sharing your story and the reality of autism. I have a son with autism and I can relate. Thanks for your comment Portia. While our kids are different, most of us can relate to many of the challenges or experiences we face on a daily basis.